GPS stands for Global Positioning System. GPS was developed by the U.S. Department of Defense as a precise navigation system for military applications, but has since been opened up to the public. Twenty-four GPS satellites orbit the earth, constantly emitting radio signals. The satellites are positioned in space so that at least four are visible from any point on earth, at any time. These satellites are the foundation of GPS. Because these GPS satellites constantly “rain” signals down on the earth, anyone with a “bucket” or GPS receiver can “catch” them. Three people could have GPS tracking devices or three billion. It makes no difference. A GPS receiver needs to “know” where the satellites actually are in order to calculate the receiver’s location. This isn’t particularly difficult because the satellites travel in very high and predictable orbits. The GPS receiver simply stores information regarding the satellites’ position at any given time. Things like the pull of the moon and the sun do change the satellites’ orbit very slightly but the Department of Defense constantly monitors their exact positions and transmits any adjustments to all GPS receivers as part of the satellites’ signals. When a GPS receiver locates and “catches” GPS signals, it measures how far away it is from each of at least four separate satellites. By calculating several locations over time, the GPS receiver can also compute speed and direction of travel. ABK Tracking takes this technology several steps further by combining communication networks, both landline and wireless, with web-based management software. The company also incorporates several sub-systems to detect, record and report non-compliance and any attempts at monitoring circumvention. ABK Tracking GPS systems record location points several times a minute. These devices contact the ABK Tracking monitoring center at regular intervals and “tell” ABK Tracking computers where the monitored individual is, where he’s been since the last contact and whether or not he is in compliance with pre-established supervision parameters. Supervising officers can also create geo-fences or boundary zones where the individual is prohibited from going (e.g., elementary schools, spouse’s residence, known gang hangouts, etc.) or where his presence is required (e.g., his residence, place of employment, counseling offices, etc.). These boundary zones are more commonly referred to as inclusion or exclusion zones. If the offender violates these zones, the supervising officer can elect to be notified. 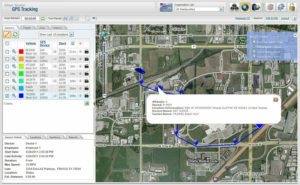 ABK Tracking utilizes a one piece GPS system which is comprised of an ankle bracelet. 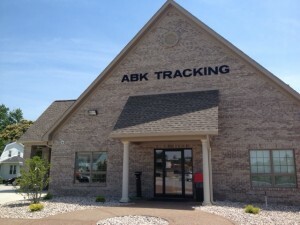 ABK Tracking’s GPS systems consistently take, compute and store multiple tracking points every minute, not just when the individual is in a violation status. These stored points are complete with time/date stamps and velocity information. This is extraordinarily useful when the monitored individual is in an automobile and can change location, speed and direction in less than 60 seconds. Systems from other companies may take a single point as infrequently as once every 10 minutes. The more often the system takes points, the fewer and the smaller the gaps in tracking data. This is particularly true when the offender is in an area with spotty cellular coverage and the system relies upon Assisted GPS. However, it’s also true when the offender is traveling through areas where buildings, tunnels, bridges and other obstructions along the route are likely to block GPS satellite signals. The savvy offender may be able to take advantage of systems that track infrequently or those more likely to miss tracks – creating a tracking history that provides far less certainty about offender behavior than systems that record tracks frequently and are less subject to “missing” tracks. In addition, storing multiple points every minute provides necessary detail on the location and movement of high-risk individuals, including the direction and speed of travel. With more points, it’s easier to more accurately discern patterns of travel and travel routes. If there is a deviation from a firmly established pattern, it may warrant further investigation by the supervising officer. The fastest “Immediate Alerts” in the industry. Immediate offender warnings and acknowledgements with or without cellular coverage. In the absence of cell coverage, reporting of participant status and tracking data through a traditional land-line or when the program participant is back within cell coverage.